Tuff Balls(TM) industrial-strength dog toys are colorfast with non-abrasive polyester. Tennis balls not available in other colors or without Tuff Balls(TM) imprint. 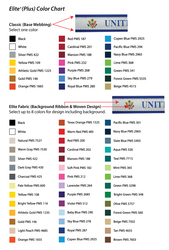 Elite woven fabric includes up to 8 colors, sewn to one side of 1-color Classic webbing. 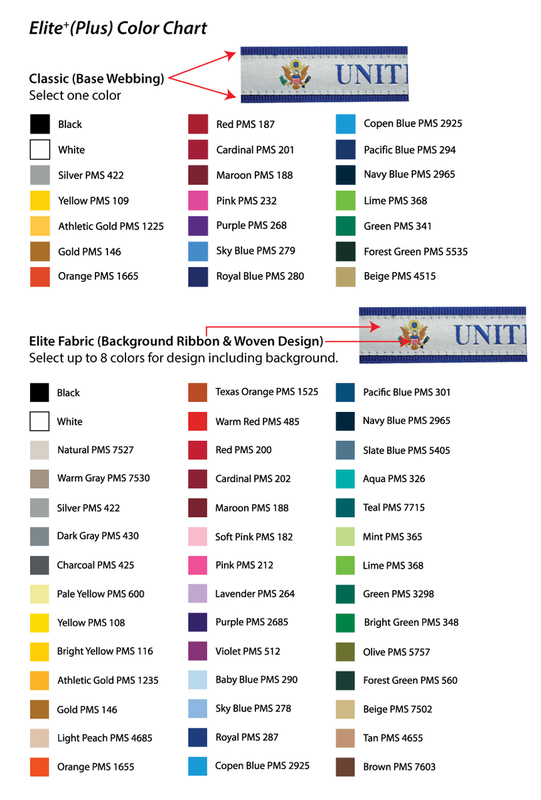 Size: 3/4" x 12" / Imprint Area: .4" x 11"
Elite Fabric/Imprint Colors: White, Natural, Silver (422), Dark Grey (430), Charcoal (425), Pale Yellow (600), Yellow (109), Bright Yellow (116), Athletic Gold (1225), Gold (146), Light Peach (475), Orange (1665), Red (187), Cardinal Red (201), Maroon (188), Soft Pink (182), Pink (232), Lavender (264), Purple (268), Baby Blue (290), Sky Blue (279), Royal Blue (280), Copen Blue (2925), Pacific Blue (294), Navy (2965), Aqua (326), Teal (323), Mint (365), Lime (368), Green (341), Bright Green (348), Forest Green (5535), Beige (4515), Tan (4645), Brown (462), Black. Virtual Proof: Free upon request with order. Allow 2 business days, if requested. Pre-Production Proof: $40(G). Will affect production time. Pre-production proofs are required on orders over 2500 pieces. Spec Sample: $40(G), plus set-up charge. Production Time: 8 working days after requested proof approval.